Hope you all had a wonderful Father's day! I'm really starting to enjoy these holidays where people plaster their facebooks and instapages with old photos of their loved ones. So what if everyone does it? It's fun! I wasn't able to spend the holiday with my pop, so I have to make sure his gift was extra special. 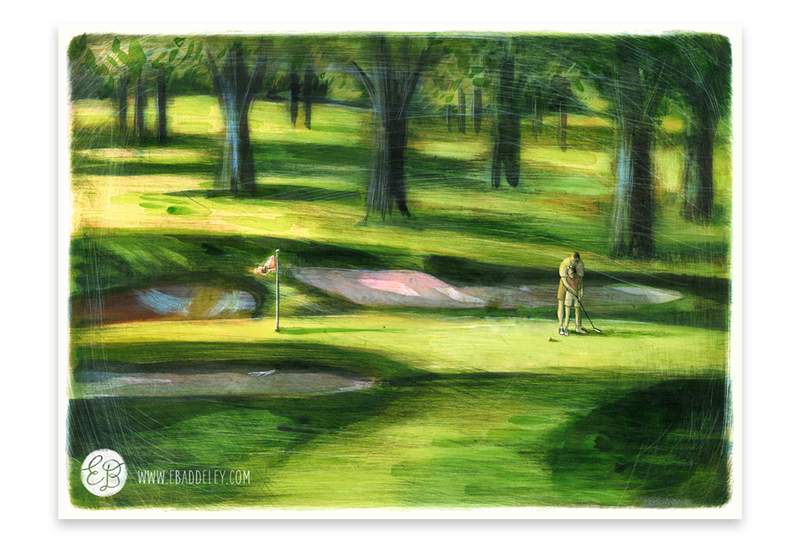 I painted him a picture of his favorite place (Milburn Country Club) with his favorite daughter (ME!). Going out golfing on golden summer nights is one of my favorite memories growing up and I have my dad to thank for that! Also included are some details which, often times, turn out to be my favorite part of these paintings!